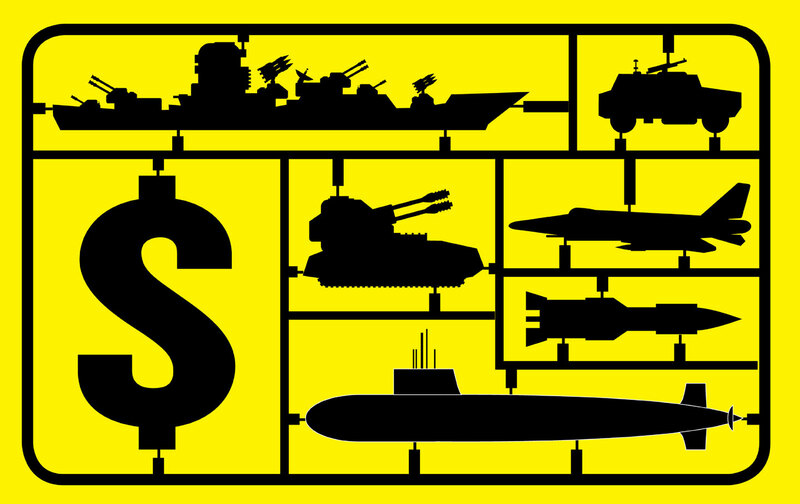 The Pentagon’s strategy for global supremacy could bankrupt the country and spark a world war. For the 40-odd years of the Cold War, the United States and its allies were governed by the overriding strategy of containment: a scheme to obstruct the Soviet Union’s advances around the world and eventually trigger its collapse. Every aspect of US foreign and military policy—and much of America’s economic, technological, and cultural behavior—was subordinated to this all-inclusive concept. Once the Cold War ended, however, US strategists lacked a unifying theme for military planning and spending, and so they flirted with one imperfect substitute after another—the campaign against “rogue states,” the “Global War on Terror,” and so on. But now, with Donald Trump in the White House and a new cast of hawks at the Pentagon, military leaders have landed on a new grand strategy: overmatch. Overmatch decrees that the United States must retain military and technological superiority over Russia and China (and all other potential challengers) for as far into the future as we can see. In this vision, America sits alone at the top of the global hierarchy; there can be no partnership among the major powers. “The United States must retain overmatch—the combination of capabilities in sufficient scale to prevent enemy success and to ensure that America’s sons and daughters will never be in a fair fight,” proclaimed the Trump administration in its National Security Strategy, released in December 2017. Although reminiscent of containment in some respects, overmatch differs from Cold War strategy not only because it presumes two (and possibly more) major competitors instead of just one, but also because it requires a perpetual struggle for dominance in every realm, including in trade, energy, and technology. As the overmatch strategy gains momentum, it will require substantial changes in American society. Mammoth sums will be needed to procure new weapons systems to ensure US superiority over all conceivable combinations of adversaries. The tech sector, including large parts of Silicon Valley and its offshoots elsewhere in the country, will be harnessed for the development of exotic weapons—artificial intelligence, autonomous weapons, hypersonics, and so on. America’s oil, coal, and natural gas will be used for geopolitical competition. International trade and travel will be subjected to military oversight to ensure that US technological advances are not transferred to America’s military competitors; likewise, the Internet will be heavily policed to defend against enemy spying and technology theft. And more is bound to follow. The strategy of overmatch derives from a conviction, deeply held among senior Pentagon officials, that the military strategies pursued by Presidents George W. Bush and Barack Obama—namely a global assortment of small wars (Afghanistan, Iraq, Syria) and counterterrorism campaigns—have severely depleted the armed forces of personnel and equipment while enabling our prime competitors, including China and Russia but also Iran and North Korea, to bolster their own capabilities, significantly decreasing the margin of superiority long enjoyed by the United States over all of its potential rivals. One can argue, of course, about how much of a “competitive edge” the United States must maintain to feel safe and secure. The United States spends nearly three times as much on defense as China and Russia combined. It possesses more aircraft carriers and advanced stealth aircraft than those countries, and deploys the most advanced tanks and planes. But it is also true that China and Russia (as well as India, North Korea, and other rising powers) are devoting vast sums to military modernization and arms procurement, narrowing the capabilities gap with the United States. Even more worrying to many in Washington, China and Russia have invested heavily in the development of advanced military technologies like AI and hypersonic weapons, hoping to narrow the gap even further—a prospect that Pentagon and White House officials cannot bear. This means not only more things—more tanks, planes, missiles, and so on—but more capable things. Technology is seen as a “leveler” in the emerging strategic competition, because it has allowed China, Russia, and others to find ways to counter America’s advantages in conventional military hardware. By investing in AI, cyber, robotics, and other technologies available from commercial sources, those countries have been able—or so we’re being told—to eat away at America’s technological superiority. The response to this challenge is obvious: Spend more money on technology—a lot more money. With virtually no public or congressional discussion, overmatch has become the driving principle of US foreign and military policy. This means, at the very least, that US military spending will continue to exceed that of all potential adversaries and that the country’s arsenals will be perpetually replenished with new and more capable weapons. The Pentagon’s proposed budget for fiscal year 2019, released last February, calls for spending $686 billion—an increase of $74 billion, or 12 percent, over FY 2018. (These figures do not encompass spending on nuclear weapons via the Department of Energy or other security-related expenditures outside the Department of Defense.) But this is merely a start. To maintain overmatch, the Pentagon—and its supporters in Congress and the White House—must keep enhancing the military’s capabilities to defeat China and/or Russia in a full-scale confrontation. “While our trajectory is in the right direction,” Mattis told Congress in April, “our work has just begun.” Among his stated goals: to expand the Navy from an existing force of 280 ships to 355; to acquire new high-tech conventional weapons capable of overpowering Chinese and Russian defenses against American attack; and to replace almost the entire US nuclear stockpile with new, more capable atomic weapons. Building a larger Navy, the Pentagon argues, is essential to ensure US dominance of the world’s major sea lanes and to enable American forces to battle the Chinese and Russians on their maritime peripheries—something they will never be permitted to do on our periphery. Similarly, the acquisition of more long-range guided missiles and other advanced conventional weaponry is needed, we’re told, to allow US forces to remain beyond the range of ever-improving Chinese and Russian defensive systems and still strike critical targets inside those countries. In parallel with this buildup of conventional forces, overmatch demands the modernization and expansion of US nuclear forces and, it appears, a new approach to arms control. Under the existing US-Russian nuclear-arms-control regime, the New Strategic Arms Reduction Treaty of 2010, the two countries maintain arsenals of approximately equal size and character, with neither possessing any distinct military or technological advantage (of a sort that might lead one side or the other to consider their actual use). A prior agreement, the Intermediate-Range Nuclear Forces Treaty of 1987, bars either country from deploying ground-launched missiles with a range (500 to 5,500 kilometers) intended for regional but not intercontinental nuclear exchanges. For the architects of overmatch, this overall situation inhibits America’s ability to employ its technological prowess in the pursuit of strategic advantages over its rivals, and so it must be remedied. This means, as they see it, replacing existing US nuclear weapons with more capable ones, acquiring new types of nuclear weapons, and, if necessary, abandoning the INF and other arms-control agreements. Although never quite expressed in those words, this is all spelled out in the Nuclear Posture Review released by the Defense Department last February and in Mattis’s testimony two months later. Contending that America’s existing nuclear armaments have become obsolete, Mattis called for a 30-year, $1.7 trillion commitment to replace each “leg” of the strategic “deterrent” triad—ground-based intercontinental ballistic missiles, submarine-launched ballistic missiles, and intercontinental bombers carrying cruise missiles or gravity bombs—with new, more modern systems. The FY 2019 defense budget contains a down payment of $6.9 billion on these systems, the beginning of what will be an exponentially greater amount in each year to come. Mattis further called for the deployment of so-called low-yield nuclear weapons (able to incinerate, say, Lower Manhattan but not all of New York City), supposedly to discourage Russia from believing it could use such weapons without precipitating a full-scale US nuclear response. (This despite the fact that the United States already deploys nuclear bombs in Europe that can be “dialed down” to a low-yield setting.) The military’s objective, Mattis explained in typically obfuscating Pentagon-speak, is to field “a nuclear deterrent fit for its time—a tailored and diverse set of nuclear-deterrent capabilities that provides a flexible, tailored approach to deterring one or more potential adversaries.” The repetition of “deterrent” or “deterring” suggests a policy of war avoidance, but other words—“tailored,” “diverse,” and “flexible”—suggests something else entirely: the desire to construct a variegated arsenal that will be there for the president to draw on under a wide range of circumstances. All this has been made far more ominous by President Trump’s stated intent to withdraw from the INF Treaty. His public explanation for the impending move is Moscow’s failure to acknowledge a breach of the treaty—Russia allegedly developed a ground-launched nuclear-capable cruise missile—as well as its failure to take steps to return to compliance. “We’ve honored the agreement, but Russia has not, unfortunately…so we’re going to terminate the agreement. We’re going to pull out,” Trump told reporters in October. For many observers, however, the decision to abandon the INF Treaty is as much about opening the space for the United States to develop and field new intermediate-range missiles—conventional or nuclear-armed—as it is to punish Russia for possibly installing weapons of this type. Pentagon officials worry more than anything about Chinese and Russian advances in self-defense (or “area denial”), preventing America’s ability to attack their heartlands at will. The acquisition of cruise and ballistic missiles of the sort now prohibited by the INF Treaty would allow US forces to overcome those defenses. In the future, then, an encounter between US and Russian or US and Chinese forces in contested areas like the Baltic or South China seas (however initiated) could lead to the use of high-tech conventional weapons, then intermediate-range non-nuclear missiles, then their nuclear variants—and from there, it’s not hard to imagine the onset of nuclear catastrophe. By preserving the INF limits, that calamitous leap across the “firebreak” between conventional and atomic warfare would prove far more difficult. There’s no getting away from it: overmatch will govern US foreign and military policy for years into the future. It will increase the risk of great-power war and encroach upon civilian life. The Democrats in Congress cannot stop it, partly because they lack the power to do so and partly because most of them also subscribe to the notion of permanent US military superiority. Resistance from the peace and antinuclear movements, such as can be mustered, is unlikely to slow the pace of expanding militarization. What is needed, therefore, is a clear-headed critique of overmatch and a strategy for contesting its most dangerous components. Overmatch rests on the assumption that the United States can and should devote whatever resources it takes to preserve a significant military lead over all potential competitors indefinitely. This is both practically and morally flawed. America’s competitors will always find new ways to overcome US advantages, while any sustained drive to stay ahead of all conceivable threats will eventually drain this country of its economic, scientific, and technological assets. As the architects of the original US-Soviet arms-control agreements eventually concluded, negotiating parity in weapons capabilities is a much more sensible strategy. The moral flaws in overmatch derive from its repudiation of reciprocity in international relations. During the Cold War, the leaders of the United States and the Soviet Union—no matter how much they detested each other—determined that it was necessary to meet periodically to address global dangers lest they provoke a conflict that could spark nuclear Armageddon. The advocates of overmatch have no such inclinations: For them, the only acceptable position for every potential US rival is subordination to Washington in world affairs. Though no doubt a pleasing prospect to the occupants of the White House, this is an unacceptable condition that will goad countries like China and Russia to engage in a perpetual struggle to overcome their inferior status—a struggle that will result in a monumentally costly arms race and perhaps even global war. Lending this critique visibility and bolstering it with an effective political voice will require assembling a coalition of all those groups who are bound to suffer from overmatch: poor and working people who will be denied essential services to pay for a new military buildup; tech workers who will be compelled to devote their talents to war; parents of young children who may someday be drafted to fight against China or Russia; and businesspeople who are being forced to sever ties with their Chinese counterparts, among many others. The various ways in which we could be harmed by this strategy may not yet be fully evident, but they will be soon—and when they are, we must be ready with a plan of action for resistance.